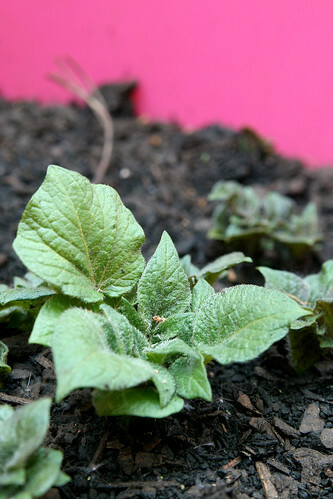 A very exciting thing has occured out in my veg patch this week... my spuds are starting to come up! They are a salad type so I'm looking forward to munching on these with the glut of salad that is sprouting up! Rather than slave over back breaking digging, the potatoes are growing in a couple of giant pink trugs! I love the colour against the lucious green leaves! Talking of sprouting... Martha has decided that now is the time to 'blow' her winter coat - it's obviously far too hot for Newfies already! I've been giving her a blast in the garden every couple of days and the lawn (hahahaha! - the mud!) looks like it has a generous coating of fluff! Martha tends to chuck all her coat out over the course of about a fortnight and for those couple of weeks generous swathes of blond fluff rises to the surface and erupts out of her coat! It all means that the hoover is almost permanently operational as the fur literally comes out in handfuls! Thankfully though there is a gorgeous thick Galaxy chocolate coloured coat lurking underneath so it won't be more than a week or so till she's back on top form! A little page today of my favourite variety - the quick and easy kind! 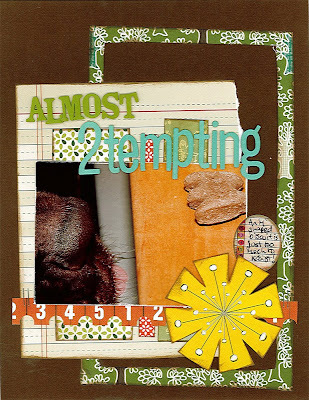 It's using last months Studio Calico kit which I love! I loved that SC kit too. This month's arrived this morning and is just as fab. My 2 are losing their coats at a massive rate this week. 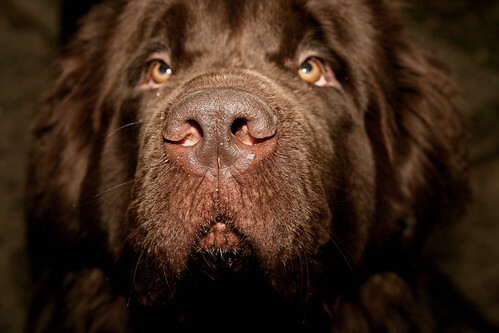 They aren't Newfs so must be a general dog thing at this time of year. I can only imagine how much hair you have as mine have short hair.